Take a bite out of clutter 15 minutes at a time. Here’s how to do it, using your closet as an example. Do each step in 15-minute sessions, picking up where you left off whenever you have 15 minutes available. Repeat each step until you’re finished, and then move onto the next step. Simply look in your closet for items you know in an instant you no longer wear. Drop them into a donate bag. 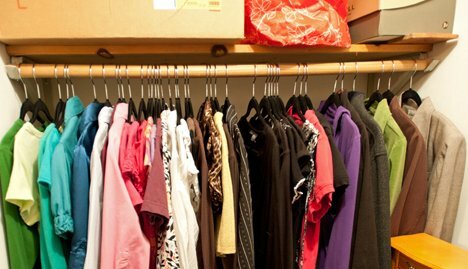 Rearrange the items in your closet, grouping garments together by type. Put pants with pants, shirts with shirts, sweaters with sweaters and so on. Step 3: Evaluate + Edit. Once your clothing is grouped together, evaluate and edit one garment type at a time. Take a look at your pants during one session. Do you see pairs you no longer wear? Drop them into the donate bag. When you’re done with pants, move on to the next category of clothing. 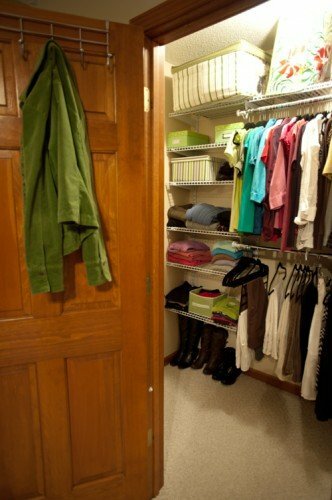 Closet storage solutions can help you maximize your closet space and make it easier to see and access your clothing. Plus, they can provide a beautiful finishing touch, all of which makes getting dressed an enjoyable experience! Bite-size the storage selection process by spending 15 minutes in your closet brainstorming ideas. 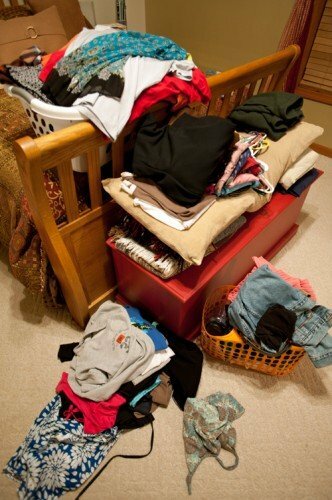 Then, spend 15-minute sessions researching storage options or shopping online. Step 5: Step back and admire your results! This is the best part of the process, when you get to truly enjoy the fruits of your labor. Keep in mind this process works for just about any organizing project on your to-do list. Simply pick a project, grab your timer and take a bite out of clutter…15 minutes at a time.